Welcome to the Andy Stanton.co.uk website. 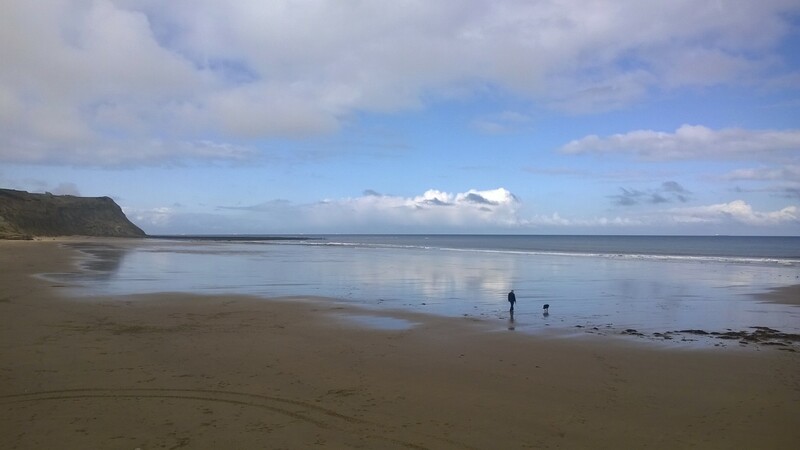 This is a picture of me and my dog Nell on Skinningrove Beach just north of Whitby. It was taken by my friend Steve North on his mobile phone. The composition of the picture is outstanding. It is a landscape with figures (Nell and I) placed at the Golden Ratio. The subject is at the same time both prosaic and dramatic, with the racing clouds reflected on the wet beach. It is a remarkable snap shot taken by a remarkable man, who is sadly no longer with us. The picture is my screensaver and the background to my desktop. And it sits there and on this webpage as a memorial to a talented and very dear friend.